hd00:08Windmills stand in the tall grass in Holland. 4k00:23Bush of cutted wheat peacfully waving in the wind with a typical Dutch Windmill in the back. Person passes by. 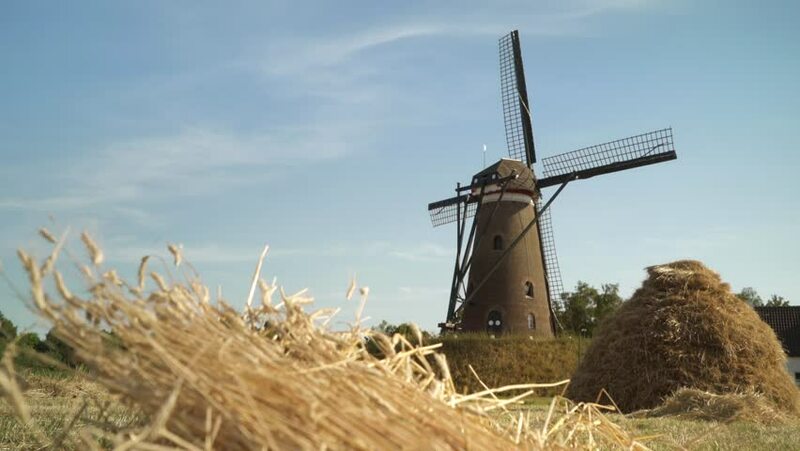 hd00:41Timelapse of a windmill that is not running. With blue sky. 4k00:15Spinnekopmolen (spider mill) De Wicher + thatched cottage in Dutch peat bog landscape. A picturesque spot in Weerribben-Wieden National Park, The Netherlands.